If you are interested in quotings or any other link between non-moose-specific literature and the king of the forest you might find bits and pieces at the end of the "Moose&Humans" section. Ein schön illustriertes, buntes Werk für die kleinen Freunde von Bilderbüchern ab 3 Jahre. Zwar ist es kein reinrassiges Elchbuch, hat aber Dank des elchischen Hauptcharakters seinen Platz hier verdient. Die Frage nach der Liebe zu beantworten fällt den drei Freunden Eichhörnchen, Elch und Ente schwer. Wo auch immer sie fragen bekommen sie andere Antworten, die sie nur zum nächsten treiben. Warum dann ein Pups irgendwie hilft wird nicht verraten. [The book is located in "Children's Corner"
Ein aus dem Norwegischen übersetztes Buch mit vielen Bildern und Information, die in strukturierten Kapiteln vermittelt wird. Perfekter Einstieg in die Welt der Elche mit guter Bildqualität und übersichtlichem Layout. Übersicht über die wichtigsten "Elchfakten" am Anfang. The Alaskan artist an Illustrator William D. Berry lived four years at Deneki Lake just outside McKinely National park, where the phantastic art drawings in the book originate - you won't find any pictures in there, but the art gives a wonderful impression from both environment and moose. 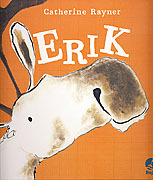 In the way of telling Deneki's story starting from his birth until he is driven off by his mother, you are lead through many scientific details about moose in an easy and entertaining way - a perfect starter into moose world, if you don't require photographs ! A book I was not sure where to put - it could very well be below in the "amusement section". On the other hand it's "a collection of all things moose", so it found it's way in the information section. 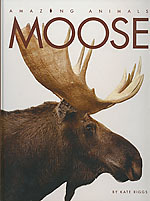 Bill Silliker as famous moose photographer and Walter S. Griggs as moose trivia collector meet in this book. Walter can be told a moose fanatic ways worse than myself. Moose-cellania is a new word formed by him: Moose&Miscellaneous - telling us, that moose seem to be composed of miscellaneous parts of other animals. A must for moose freaks, even though a large area is featuring a listing of aircrafts, people, fire brigades and alike have adopted "moose" into their names. Another book belonging to both categories - but this one fits perfectly into the informational section anyhow. More geared towards young readers, the book reveals lots of moosic facts in a easy to read fashion. Pictures - even though not satisfying the nature photographer enthusiast - complement the book in a perfect way. You can follow the young moose bull Roscoe from birth through his first year in companionship to his mother until he gets six years old. 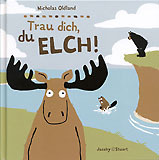 Not only for youngsters a good choice, as giving a broad overview on a mooses' life in a short and easy way. A paperback from the "Our Wild World" Series, which advertises with the line" Fun Facts / Up-close photos / color illustrations / Index / Internet Sites. It all is in there, while the real point to buy this book for the advanced young reader are the pictures, the clear structure with some interspersed "Fun Facts". Not so much a scientifical than a entertaining lierature about mosse, but perfectly fitting for the target group - the young readers. Nice for the European reader: Weights and measures are given both metrical as well as in american units. Again a book for the juvenile reader with large letters and beautiful pictures. Boxes interspersed with the text flow tell small stories or give amazing information - the interesting layout differentiates the informational booklet from others with a more formal appearance, which makes it easier and more juicy to read. A good starter for the future moose naturalist - or just friend. 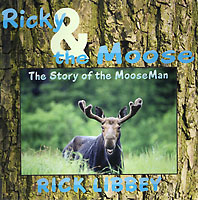 Another book from the American MooseMan - Rick Libbey, supplemented with drawings from his wife Donna Libbey. This book deserves a place in the informational section, giving a brief, but informative overview over various moose facts from american subspecies, naming, course of the year, moose bahviour, antlers and more - all written and produced in an easy understandable and convenient way. As important is the fact, that the small booklet serves a large amount of excellent moose photos. Unfortunately the book can not be sourced from normal booktrade, so try at www.moosemannaturephotos.com. Walter S.Griggs Jr. appears the second time in this section. The Associate Dean and University teacher shares my love for the king of the forest and joined his knowledge and enthusiasm about moose already in the book "Moosecellania" (see above), where Bill Silliker added his photography. When my wife wanted to buy this book during our last Sweden vacation, I was not aware what worthwhile literature and information source I had missed up to now. A book from a Swede about Swedish moose. And much more. A moose bible - from a broad fact base on moose through hunting (both directions), moose history, moose stories, moose in traffic, humans and moose, moose products, moose art and literature - a must for friends of the moose - Jättebra ! 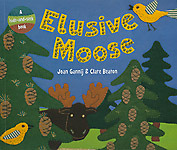 A book for the very early starter into moose knowledge - definitely the moose literature with the largest letters of any moose book I have seen up to now - and the shortest text - perfect for the targeted age from preschool to Grade 1. 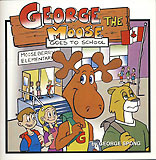 The book is the moose version of the "Amazing Animal Adventures" series. The illustrations are real paintings and worth a look. Moose information with lots of pictures, large fonts and spiced up with fascinating facts and frequently asked questions. A very fresh styleencouraging especially younf readers to learn about the moose details, their life and how to encounter them. Included is a book code opening some more information on the Internet. Intended for early readers in the age of the 1st grade, the small soft cover book brings first moose knowledge in really bold letters - together with moose photos. Three chapters bring the most important facts on cows, calves and bulls and their basic behaviour in the year. A "Fast facts" overview, a short glossary and links to further information on web and in books conclude the booklet. Indeed a good start for first level readers and moose fans who remained young at heart and want to have a portable basic information to go - more handy than "mooseman.de"
By the way: One of the links directs to the well renowned website mooseworld.com, where also mooseman.de proudly contributed to - it's a small world ! Wonderful moose photography combined with informative and short text passages introduce the juvenile reader into the amazing world of moose. Information for 2nd grade readers in an appealing graphical design will make it interesting and easy to learn about moose with a focus on North American sub-species. And a short tale at the end of the book adds the story about moose and their encounter with catfish, who were not willing to share. Information on more reading and two websites finalizes the book - and again one of the links points to the well-known "mooseworld.com" (see most recent book review). Again a book for the juvenile reader longing for moose information without lacking an appealing outlook and many great moose images. A book with a broad educational content from habitat, feeding, facts, antlers and predators to moose research. Perfect for the advanced and curious young reader. 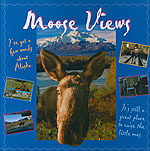 A large picture booklet for early readers being interested in first details on a moose's life. It also features large-scaled moose pictures while keeping the information texts short and easy readible. Maps showing the world and also the moose regions in North America inform the young reader on the geographical spread of moose. They also learn on moose features and their lifecycle while a short glossary helps learn some specific new words. Amazing is that it uses exactly the same title image as the book shown before. An abolutely informative book, which made it hard to select the category for - it could have been sorted into "Real scientific stuff" as well. Still the target group is the juvenile pupil with a intense interest in nature. The book also features a great amount of really good moose photography and is one of the few American books informing about the moose subspecies and differences world-wide. The selected bibliography shows information roots in the scientific area. So it can be seen as a real information source embedded in a excellent and most appealing packaging. This member of the "Wildlife of North America" series is a broadbanded introduction into the life and lifecycle of moose consulted by moose expert Charles C.Schwartz. Made for the juvenile reader it starts with a "fast facts" chapter followed by details on the species, their habitat, nutrition and survival to a mooses life-cycle. What is special about this book is a section on moose origins, moose myths and the relation to humans. Awesome moose images, informative drawings and a final chapter with links and references for further information supplements the book to an excellent moose starter media. All of these books have been very useful collecting information for my moose section - Thanks to all authors ! A wonderful book with a vast amount of excellent moose pictures making it really fun to read and enjoy- and getting all the information on life and personality of moose you may look for. The author Daniel Woods has written 15 books and is known as adventurer and world traveller. Highly worth adding to your collection. A compendium for the advanced moose freak giving you an extraordinarily deep insight into the world of moose, completed by many drawings as well as wonderful wildlife photographs. After reading you will know things such as "How the Moose Got Its Big Nose". The "University" for students of moose. Bill Silliker Jr., the American Mooseman, has written this book giving the ones looking for a real moose encounter in the American landscape a better chance. In the book he list areas and locations, where the possibility of moose sighting is high. Besides a lot of tips in relation to moose and photographing them, the book has a lot of phantastic pictures for the reader - a must for the moose photographers (and others) ! "This book is an attempt to capture and illustrate both the resplendence and the complexity of one of the largest and most amazing members of the wild, the moose of the northern woodlands". With a vast amount of beautiful pictures and a rich supply of well-founded information on moose - with a focus on the Algonquin Pronvincial Park in Ontario - this book can definitely be recommended. With a sometimes "flowery" language and sometimes more demanding language for non-native speakers, it goes beyond the pure informational literature. Againa highly informative book with excellent pictures from a book series about wildlife (also featuring bear, buffalo, eagle and wolf). "This book is a fitting tribute to a magnificient animal who proudly reigns over a magnificient land". Besides the good ifnormational text this book illustrates a moose's lifecycle in lots of pictures giving a pleasure to browse through the pages. "In the Company of Moose" - a title already showing the positive attitude Victor van Ballenberghe has towards moose. He has studied them for many years gaining experience in moose habits, food consumption, rutting behaviour and anything else one can imagine about the king of the forest. His tools were long time observations by plane and on the ground, especially in Denali National Park, often on radio collared moose. An absolutely excellent book with a vast amount of information and phantastic pictures, personally written with a dramatic closing dealing about a special friendship to a bull moose called "Big Boy" and his story. An absolute must for anyone wishing to learn more about moose. Written for those willing to experience moose themselves in the Maine woods, this book again features some moose photography from Bill Silliker, while it's focus is very much on moose information for those seeking the king of the forest. It gives useful information on where specifically to find moose in Maine ("Moose Hotspots"). Due to information on moose behaviour and habits not only interesting for those having the opportunity getting to Maine.
" A Wildlife Vet's Pursuit of the World's Largest Deer" - this subtitle can be found on the book's cover. Dr. Jerry Haigh is far from being the local vet comparable to James Herriot in the world known "All Creatures Great and Small". He is a globetrotter when it comes to wildlife. And he is in favor of moose - both wild and tame. The book can hardly be assigned to just one category. It comprises of a vast amount of scientific information, well researched and garnished with examples and information from other moose experts in many respects. Besides wildlife information on biology, history, food, diseases and human interaction and dependencies on moose life and inventory, is also shows the efforts of man to domesticate moose and keep it under controlled conditions. The book is full of information with an extraordinary broadness, but it also made it to become a highly entertaining reading making me smile. In fact an exploratory work being addictive as an exciting thriller. Although I had a number of moose book in hands before, this one is likely the best if you not just look for dry scientific information. And it contains lots of info and examples I had never seen before, all written in the most amusing way. The icing on the cake is a PDF version you can get for free if you bought the book! A must-have for moose addicts as well as anyone interested in beasts. "A light-hearted look at moose and their mannerisms" you can read on the back of the book. Nearly nothing to add ... The wildlife still photographer and moose maniac Bill Silliker is a phantastic photographer of the king of the forest in it's main resort in Maine and usually writing more serious books - but the idea to bring 60 images of moose with very special expressions in relation with a more human touch captions is brilliant! Ein witziges Buch, nett illustriert, das sich nicht nur in der Weihnachtszeit lohnt, gelesen zu werden, aber vor allem da und vor allem von Erwachsenen. Im Anhang ein Menü mit Rezept - wenn auch mitunter die Hauptspeise (Rentiersteak schwedischer Art) die Weihnachtsgefühle etwas verletzen könnte). Die Story: Drei Reporter auf Suche nach einer Titelstory, alkoholisieren und horchen den Assistenten des Weihnachtsmannes nach diesem aus. Der Assistent ist natürlich - ein Elch ! "Cartoons für Elchfans". Elche, alle namens Elksson, die in schwarzweiß -einfach skizziert- in 5 Kapiteln ihr Unwesen treiben: "Die Mythen der Elche"; "Die Elchsociety"; " Der Elch in Redensarten"; "Elche im Alltag" und "Elche im Office". Viele verschiedene Facetten in 1-2 seitigen Cartoons gezeigt, dennoch nicht unter meinen Top-Favoriten. Erik ist wieder unterwegs - bis nach Kanada hat es den kleinen Zweibeinelch auf der Suche nach einem Freund verschlagen. Viel Neues gibt es dort zu entdecken: Football und einen berühmten Football-Star, der eigentlich gar keiner mehr sein will. Den weltbesten Kakao, erst einmal keine Currywurst, dafür Burger, und neue Freundschaften. Vom Tellerwäscher bis zum Mitgründer des "wirklich wunderschönen Burger-Restaurants von Chuck Bones" bringt es der kleine Elch, und neben einer großen Liebe findet man auch ein großes Wiedersehen in der Muss-Lektüre für Elchfans, die es mit der wissenschaftlichen Seite bei diesem speziellen Exemplar von Alces nicht ganz so genau nehmen sollten. It was impossible to decide on where to place this very special book about and with moose - finally it ended up in the amusement section, while it is more a contemplative literature which manages to put a smile on anyone's face on the other hand. It is incredibly creative, how Walter and his brother Robert combine stories and knowledge about moose with Christian passages and worldly wisdom - it is the most exceptional book in my archive and stimulates reading in small bits - enjoying one chapter at a time and taking time to digest the sagities read. Moose in images and bold letters (although this time not intended for the beginners in reading). A book from Alaska and somewhat about Alaska - narrated by one of it's most important inhabitants - the moose. A reading beetween loneliness and company, between cold and hot. An image diary of moose in human environments telling about the changes and the important things. Finally a book telling, what moose really think about ... and a nice, short reading for the moose fan. This book could be as well placed in the "Moose Rookies" or "Children's Corner". The reason I put it here are the many typical Canadian bits and pieces giving also the adult reader a broad grin on the face. It is a very special version of "The Night Before Christmas". Why got the poor moose trapped in a light chain? He was spooked by the very special Santa's sled in the sky - pulled by eight flying beavers (who are a Canadian National symbol). The children are dreaming of a good portion of poutine (which is a common Canadian dish originating from Quebec). Mom gets a Hudson's bay point blanket as present (which is wool blanket used as trading object by the Hudson's Bay company since the 18th century - an Canadian icon). It continues like that, many of the allusions I had to check up myself - so you might use this book to get aquainted with typical Canadian things. But it is as easy to enjoy the wonderful book with awesome illustrations without this specific knowledge as well. A perfect book for Canadians and anyone on the world with a heart for Canada. It can be found and ordered directly from the authors at www.amooseinamapletree.com - together with more great books which will be presented here later on. 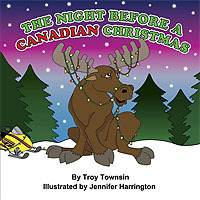 Another great book from Jennifer Harrington and Troy Townsin with the All-Canadian touch as known from "The Night Before Christmas". 100% Canadian - thus special version of the "12 Days of Christmas" is a must again for moose lovers and anyone with a heart for Canada. The original protagonists are carefully replaced by real-Canadian placemholders! A Maple tree is just much better than a Pear tree, and who ever believed that "9 Ladies Dancing" can really be true - of course "9 mounties riding" must be the original version! It can be found and ordered directly from the authors at www.amooseinamapletree.com. Eine ganz kleines Micky-Maus-Büchlein vom Pestalozzi Verlag (Nr.74). Die Geschichte ist natürlich negativ zu bewerten, das Goofy auf Elchjagd geht. Bei seinem Pech leidet (glücklicherweise) nur er, nicht der Elch dabei. Da der weiße Elch auch nur einmal in dem Buch (gezeichnet) vorkommt, eher zur Komplettierung der Sammlung zu sehen als ein wichtiges Elch-Buch. Ein großformatiger Comic, der ursprünglich 1978 aus Frankreich/Belgien stammt. Der Westerntyp Buddy Longway erzählt seiner Tochter ein Geschichte über eine Elchjagd. Eigentlich brutal, aber fairerweise wird am Ende nur einem dem Tode geweihten Tier der Gnadenschuss gegeben, während ein stolzer Bulle, der die beide Hauptfiguren einige Zeit durch das Buch jagt, am Leben gelassen wird. Sehr schöne Zeichnungen ! Ein aus dem Englischen kommendes Kinderbuch mit bunten und großflächigen Zeichnungen in einem teils ungewöhnlichen. Stil und einer Geschichte, die wohl eher an die Eltern gerichtet oder den Kindern präventiv vorgesetzt wird: Elch leidet unter den ständigen, immer weiter eskalierenden Streitigkeiten zwischen einem Stöcke-werfenden Bär (im Generalskostüm) und einem Steine-schmeissenden Adler, zwischen deren Fronten Elchs Haus liegt. "Das Schreien und Streiten hat ihnen nichts eingebracht", dachte Elch. "Vielleicht werden sie eines Tages entdecken, daß Singen viel mehr Spaß macht." 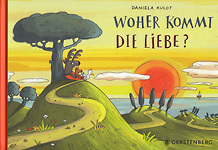 Ein Kinderbuch mit Moral und happy end für kleine und große Kinder ab 4 Jahren. Geschrieben von dem Tier- und Naturschilderer Otto Boris ist dieses historische Buch einer unterhaltsame Geschichte, die viel Details über Elche und deren ostpreußischen Lebensraum an der Memel bis zur kurischen Nehrung preisgibt. Ein nicht immer ganz Elchfreundtaugliches Buch, das auch die negativen Seiten von Mensch-Elch-Begegnungen darstellt. Erzählt wird das Ganze aus der Sicht des Jungelches Worpel, der beim Heranwachsen dem Schicksal vieler Artgenossen und Verwandter, die Wilddieben zum Opfer fallen, zu entgehen versucht, und dabei immer mehr Abstand zum Menschen einhält. Ein trotz des Alters erstaunlich leicht und modern zu lesendes Buch, das empfehlenswert ist und auch auf dem Antiquariatsmarkt mit vielen verschiedenen Ausgaben zu finden ist. Das Buch wurde eigentlich bereits im Jahre 1926 aus dem Norwegsichen übersetzt, copyright durch die Beck'sche Verlagsbuchhandlung. Mein Exemplar war dabei eine Sonderausgabe für die Büchergilde Gutenberg und immer noch in der für moderne Menschen schwierig lesbaren Fraktur Schriftart gesetzt. Ich habe es trotzdem geschafft, die Geschichte vom Trollech namens Rauten, oder eigentlich eher seinem Verfolger, Gaupas, dem, Jäger vom Mottal, zu lesen. Die Geschichte wird sowohl aus Elch, als auch Jägersicht erzählt, und bietet einige Einblicke in die Elchseele (wie der Mensch sie interpretiert hat) sowie die damalige Zeit in Norwegen. Etwas trübsinnig, und nicht unbedingt ein Muss für Elchfans. Dieses Buch habe ich gleich in zwei Ausführungen. Nr. 2 ist vom Gerhard Rautenberg Verlag (Leer, Ostfriesland), allerdings ohne Umschlag. Der Inhalt ist identisch, bei letzterer Ausgabe sind die 81 schwarz-weißen Bilder zwischen den 64 Textseiten, bei der angegeben Version links alle am Ende des Buches. Die Handlung ist eine - trotz des Alters - modern und gut zu lesende Geschichte von verschiedenen Elchen die der Autor teils von Geburt bis zur Fortpflanzung beobachtet hat. Die Geschichten spielen in der Kurischen Nehrung nach dem zweiten Weltkrieg und erzählen - neben vielen interessanten Begebenheiten mit Elchen auch etwas von der Landschaft, den Fischerdörfern und der speziellen Natur der Gegend. Immer noch aktuell ist es - auch der deutlichen herauzulesenden Liebe des Autors zu den Elchen wegen - eine absolute Empfehlung für eine entspannte und unterhaltsame Lektüre. Ebenfalls hier wieder ein Duplikat - zweiteres Buch nennt sich "Elche zwischen Meer und Memel" und ist vom Hugo Bermühler Verlag, Berlin-Lichterfelde in altdeutscher Schrift. Das usprünglich amerikanische Original wurde bereits 1935 zum ersten Mal aufgelegt und wird nach 40 Jahren Pause wieder neu gedruckt. Mein Exemplar ist die deutsche Übersetzung. 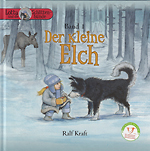 Das Buch, das größtenteils auf wahren Tatsachen beruht, ist einfach genial - ein Elch, der sich wegen allzu großem Hungers in einer Pferdescheune den (die) Mägen vollschlägt, und den 3 Kinder aus dem Dorf in Minnesota ins Herz schließen und damit eine Vertreibung des gefrässigen Tieres entgegenwirken. Dass der Elch das ganze Dorf aufmischt, ist klar. Die Illustrationen von Kurt Wiese sind so ziemlich das Genialste an Elchzeichnungen, was ich bis jetzt gesehen habe - unbedingt lesens- und anschauenswert. Ein bereits 1938 von Hal Borland verfasster Roman über den Maler Cass, der in der Wildnis Amerikas die Ruhe und Muße für seine Bilder sucht. Original: King of Squaw Mountain, J.B. Lippincott Company, New York/Philadelphia; Die Geschichte, die am Squaw Mountain in Wyoming spielt, hat neben dem naturliebenden Maler noch zwei weitere Hauptfiguren: Den fanatischen Schafzüchter Selkirk, der nur Geld kennt und die Natur - bis auf das Gras der Schafe - am Liebsten ausrotten würde - und den starken Elchbullen "Wapiti", der einer der Hauptgegner des Schafzüchters zu sein scheint. Ein schön zu lesender Roman mit Cowboy-Ambiente mit viel Natur - nach dem Lesen würde man sich am Liebsten auf sein Pferd schwingen und in die Natur reiten! Vom selben Autoren wie "Das Buch vom Elch" (siehe oben) - nur einige Nummern kleiner - ein DIN A6 Leseheftchen zum Mitnehmen für damals 25 Pfennige! In der Ichform erzählt Kakies kleine Geschichten, die im Jahre 1935 spielen als es noch Elche in Ostpreußen gab, bevor diese um den zweiten Weltkrieg herum ausgelöscht wurden. Der Ort ist identisch mit dem des Buches: Um die kurische Nehrung und dem Memelstrom. Die Geschichten sind interessant zu lesen, geben einiges an Information zu Elchen und ihren Gewohnheiten wie auch Anekdoten wie z.B. die Beschreibung der Elche in Cäsars "Gallischem Krieg". Ebenso sind einige Bilder enthalten - insgesamt ein kurzes, aber sehr positives Lesevergnügen. Das finnische Original hieß "Ymmi ja hirvi" und erklärt wohl auch den ungewöhnlichen Namen der (zweiten :-) Hauptfigur neben dem Elch. Ein ungwöhnliches Kinderbuch mit ebenso ungewöhnlichen Zeichnungen (Ruprecht Haller) und einer Handlung, die von einer Elchtragödie - Eltern des jungen Elches werden erschossen - über das happy middle - der tierverständige Hirtenjunge Ymmi kümmert sich um das Elchkalb und rettet es - bis zur phantasy geht - zu den "Wohnstättten des guten Willens". Der Elch Schmuddel Schmus macht seinem Namen alle Ehre - er gehört nicht gerade zu den reinlichsten unter den Tiere und riecht auch dementsprechend. Dass selbst Wölfe bei seinen Ausdünstungen in Ohnmacht fallen, ist aber nicht das Schlechteste. Eine schönes Bilderbuch mit einem sehr außergewöhnlichen Thema. Als Mischung zwischen Roman und Sachbuch erscheint die Erzählung von den Elchen Ostpreußens, die von einem Kenner, Jäger und erkennbaren Tierfreund lebhaft erzählt wird. Vor allem dem Elchbullen Elk kann man über weite Strecken seines Lebens folgen und dabei viel über Elche und ihre Umgebung am kurischen Haff lernen - gute wie auch schlechte Zeiten werden anschaulich erzählt. Auch wenn man es vom Titel her meinen könnte: Als Jagdtrophäe endet Elk nicht, auch wenn das Ende dennoch nicht im Sinne des Happy End Suchenden ausfällt. Ein Jugendbuch über eine norwegischen Jungen, der immer mehr zum Einzelgänger wird: Ausgeschlossen aus der Dorfgemeinschaft, nachdem ein Schulkollege nach einer Prügelei mit ihm sein Auge verliert. Zu Hause wird er außerdem mit einem überstrengen vater konfrontiert. Immer mehr in sich gezogen sucht er die Einsamkeit der Natur des Fjells, wo er nach einiger Zeit eine ungewöhnliche Begegnung mit einem weißen Elch hat. es sieht fast so aus, als wäre dies der Einzige, der ihn wirklich versteht. Eine tiefsinnige, teilweise traurige Geschichte, die durch die Stärke der Freundschaft und der Erkenntnis der Vergebung ein gutes Ende nimmt. The author Dr.Seuss is acquainted with writing and illustrating picture books - 44 of them he has finished already. But of course this one is the cream of the crop due to it's leading actor Thidwick. Quite old (1948) it still gives you a smile reading and looking at the rather simple drawings. Of course a book with happy end -although the hunters seem to win. Elch Olaf, spielt die Hauptrolle in dieser Weihnachtsgeschichte (OK, für echte Elchfreaks auch bei 40°C im Schatten gut lesbar). Olaf, der zu Beginn der Geschichte noch beide Schaufeln hat - allerdings viel zu große, die ihm das Leben schwer machen - bricht sich eine ab. Allerdings ist die zweite Hauptperson - der einäugie Weihnachtsmann- ja auch nicht perfekt, und so erleben sie einiges zusammen. Tolles Buch mit vielen Illustrationen. 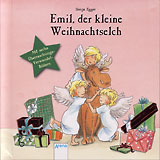 Und wieder erfreuen uns Olaf und seiner treuer Freund - der Weihnachtsmann - mit einer Geschichte - leider wohl die letzte von Olaf, da sein Autor Volker Kriegel 2003 verstarb. Diese Tauchergeschichte führt Olaf und den Weihnachtsmann unter Wasser, nachdem Olaf beim Eishockeyspielen eingebrochen ist. Dort treffen die beiden verfluchte, aber sehr illustre und amüsante Gestalten, die sich nichts sehnlicher wünschen, als einmal wieder richtig Weihnachten feieren zu können - eine echte Herausforderung. Ein Muss für alle Freunde der ersten beiden Olaf-Bände und natüprlich sowieso alle großen und kleinen Elchfans! Ein Kinderbuch für die kleinen Leser ab 7 Jahren. Natürlich mit Elchen, großer Schrift und wunderbaren Elchzeichnungen, das happy-end fehlt natürlich nicht und die Träume des Hauptdarelchers Jussi, dem keiner seine großen Erlebnisse mit dem Weihnachtsmann glauben will, werden natürrlich erfüllt. Elch Edmund kehrt zurück und verhilft wieder jung und vor allem alt mit Geschichten wie "Extremisten unter sich" und "Wahlkampf der Volksverhetzer und Blödsinnschwätzer" zu einigen amüsanten Stunden. Hinter den lustigen Geschichten verbirgt sich oft auch die eine oder andere Anspielung auf die andere Seite - das menschliche Leben eben. Herrlich illustriert mit Zeichnungen von Sabine Rothmund. Ein großformatiges Kinderbuch mit richtig dicken Seiten, absolut netten Zeichnungen und einer Geschichte eines beliebten, aktiven Elchjungen Olek, der Angst vor dem Wasser ha, aber am Ende (natürlich) ganz groß rauskommt. Als sein Vetter Edwin verschwindet, stürzt das halbwüchsige Elchkalb Elgar sofort los um seine Freunde zusammenzutrommeln um ihn zu suchen. Ist Edwin im Eis eingebrochen oder hat ihn der Wassergeist Nix geholt? Eine wunderbar illustriertes Bildermärchen aus dem Norwegischen, bei dem kleine Übersetzungsunsicherheiten die nordische Herkunft unterstreichen. Ein Muss für Elchfans und deren Kinder. Elgar hat mittlerweile auch in Plüschform ein reales Dasein gefunden. It's not a children's book as any other, not fiction but the story of "The" MooseMan in United Statues - Rick Libbey - told in drawings and pictures. Rick - a man with great love to nature and it's creatures - has a strong focus on moose photography (very praiseworthy :-) - and he only shoots from a Kayak, which is very special for him. In this book drawings created by his wife and moose photos from himself merge with children-book like short text elements to tell his life-story. In fact, he lives up to my vision. A beautiful book just showing the dedication to "our" main subject. The web link to MooseMan Nature Photos can be found in the moose link section. Eine Elchgeschichte für Leser von 9-12 Jahren (und natürlich alle notorischen Elchfreunde). Eine Geschichte die vor allem die Bayern in ihren Bann schlagen wird, liegt doch die Quelle der Anziehungskraft, die alle nordischen Elche zu einer Massenwanderung in den Süden antreibt, in München. Nette Zeichnungen ergänzen eine spannende Kindergeschichte, in deren Mittelpunkt die Jungs Peter und Michael sowie die Elchexpertin des Tierparks Hellabrunn, Frau Doktor Menzel, zu finden sind. Und letztendlich auch Michaels Vater, der bei der ganzen Geschichte, ohne es zu wissen, eine zentrale Rolle einnimmt. Eine Bilderbuch- und Textgeschichte für Kinder ab 7 (Obergrenze offen :-) mit dem durchaus altersgerechten Inhalt, dass der kleine Elch Jussi nicht mehr wie ein Kind behandelt werden will und den Spuren des älteren Elchkindes Per auf der Suche nach dem Mondsee folgen will. Das geht natürlich erstmal schief, aber am Ende zeigt Jussi was er drauf hat. Wunderschöne Zecihnungen und großer, kurz gehaltener Text mit einer netten Geschichte - das ideale Mitbringesel eines Elchfreundes für die Kinder seiner Umgebung. Ein Buch, das nicht zentral den Elch als Fokus hat, sondern in dem auch Biber, Hasen und nicht zuletzt Menschen einen Platz haben (alle Elchfreaks mögen mir für das Auftauchen hier verzeihen :-). Die Geschichte spielt in Norwegen. 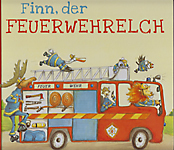 Der Elch Nils darf hier den Menschen als Briefträger helfen, er kann daher auch die menschliche Sprache. Stück für Stück lernt er neue Freunde - tierische und menschliche kennen - und am Ende treffen sie alle auch noch die norwegische Königsfamilie in Oslo. Einige (wenige) herrliche Kohlezeichnungen werden von einer Menge spannender Erzählungen umrahmt, die jedes Kinderherz begeistern werden. Ein Buch, das sich als kleines Geschenk für Elchfreunde zu Weihnachten perfekt eignet. Ausgesprochen nette Kohlezeichnungen ergänzen den liebevollen Text, der die Geschichte eines Elches auf der Suche nach Freunden erzählt - vor allem aber was sich daraus entwickelt, als er im Winterwald seltsame Rotmützen trifft, vor denen er aber erstmal wegläuft. Ein Einblick in die Welt von Knecht Rupprecht, dem Christkind und dem Weihnachtsmann, der doch oftmals überrascht. An absolutely awesome book - in graphics, lyrics and idea. What good is a moose? Agate is disappointed - all of his friends seem to be gems, he feels like an unshaped, brown rock, useless and just wants to hide away. If you sometimes feel like a useless creature without brilliance, get inspired by this very special book with unique watercolor paintings and find out about your intrinsic values. George the moose is something special - and when he leaves his home, the mountains and his forest friends for the city to go to Mooseberry school, some adventures and experiences are more than likely to happen. In four chapters George convinces a teacher to stop smoking, brings a maverick back into school and the community, prevents him from making a big mathematical mistake and finally has to leave his new friends again. George the moose is a figure with mental and physical strength who can serve perfectly as an example for children just like an older brother. Well, moose are all-purpose creatures obviously, as George's main profession is inspiring those younger children to do more sports and fitness - check out George's homepage http://www.georgethemoose.com/ for more information. Eine muntere Sammlung von acht kurzen Geschichten über und mit Elchen für den jungen Leser (ich zähle mich hier einfach mit dazu :-). Liebevolle Illustrationen begleiten Elche die sich als Apfel- oder Pantoffeldieb zeigen, solche, die nicht mehr unter uns weilen, weiß sind oder im Himmel die Post austragen. 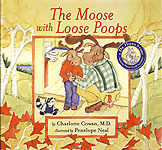 The most unusal moose book in the children's corner up to now. 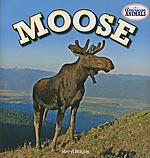 Less for pure entertainment, it is the only educational reading not only covering information about moose. In this case the main intention is comforting children suffering from stomach flu. It reassures sick children, that an aching tummy, throwing up and diarrhea are not a big deal. For worried parents a small booklet is attached to the back book jacket. It gives basic information on Gastroenteritis and advices on all questions around the disease. Not a favorable topic indeed, but helpful in case and providing excellent illustrations. A picture book comprosing of 7 separate stories, each supported by very unique drawings of a exemptional style. Larry, the moose, is raised in the forest of Canada. He and his bunch of friends face many adventures - helping each other out of their miseries, just going out for camping together or starting a river race. One of the most uncommon children's books I own - first of all the size exceeding my A4 scanner (so the image is slightly cropped at the bottom end). Secondly the unique way of illustrating the book - all "drawings" are made of antique fabrics (looks like felt), and small items such as buttons. The book is called "hide-and-seek book", so you have to find the moose on every page. Very little text in bold letters serves the very young readers. Besides the protagonist you will meet many kinds of Northern creatures and their tracks, as well as some moose information at the end. Nature introduction for the youngest! 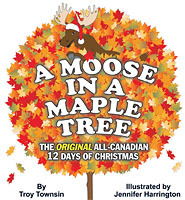 A "real" book for young readers, recommended for ages of 8 to 12 years (and moose fans of any age :-)). Follow Bub Moose through the first weeks of his life - from birth through his first experience in nature and his big adventure after getting too close to humans. Luckily his young wolf friend Snow is also involved in the encounter with people, streets and other mystic human elements such as garbage eating vehicles and a festive procession of the local football team. Luckily his father turns up and brings the friends back to the forest, where the weird friendship between a moose and a wolf puts the cat among the pigeons. A few, but very nice black and white drawings suppose the book for "real readers", who want to follow the thrilling eperiences of the two young fellows. Intended for the juvenile reader between 4 and 7 years of age, the book asks one question over and over again: "But who left all these moose tracks?" Wonderful pictures combined with widely rhymned (and short) texts telling of many visits of all kind of animal friends leaving their marks in and around the house. All those feathers, nut shells, bear hair and mouse prints are explicable, only the moose tracks everywhere, which were not there the day before, are incomprehensible. Be curious about the answer, so much for now: Moose track soap helps finally to clean up! Ein weiteres wunderbares Buch aus der Elch Edmund Reihe - passend zu Weihnachten ausgewählt. Oder wie es der Untertitel nahelegt: "Schwedisch feiern, bis die Tannen nadeln!". 10 kurzweilige Geschichten rund um den Schaufelträger, kombiniert mit typisch schwedischen, textuell bereicherten Rezepten sowie einer Bastelecke und geschmückt mit einer Lieder-Sammlung schwedischer Weihnachtslieder - was will man mehr zu Weihnachten? Die herrlichen Illustrationen natürlich - und das stetige Schmunzeln über den Protagonisten und seine oft allzu menschlichen Problemchen. Ein wunderbares Buch zur Weihnachtszeit - im Prinzip ein Buch-Adventskalender mit 24 Kapiteln, bei denen jedes auch täglich geöffnet werden muss: Denn um zu den Geschichten zu kommen, müssen die Seiten aufgeschnitten werden! Und was einen in jedem Kapitel erwartet, begeistert: Wundervolle Zeichnungen und die Geschichten von Oskar, dem Elch mit dem zu kleinen Geweih, der unbedingt den Rentieren zum magischen Nordlicht folgen will und zusammen mit Greta der Weihnachtsgans und vielen anderen, die sie auf der Reise treffen, spannende Geschichten erlebt. Im Band 1 der Reihe "Spannende Geschichten vom Elch" bekommt Elch Barnabas das Geschenk seines Lebens: "Geboren" als Stofftier fühlt er früh, dass er etwas Besonderes sein will und Abenteuer erleben möchte. Die Waldfee verhilft ihm dazu, ein richtiger, lebendiger Elch zu werden. Im Wald trifft er schnell Freunde und vor allem mit dem Hasen Schlauchfuchs, der ihm die wirkliche Welt zeigt und erklärt, erlebt er so manches Abenteuer. Geschrieben für die jungen Selbstleser zwischen 5 und 9 Jahren erfreut das nette Buch mit den ersten Gehversuchen des neuen und in Deutschland eher ungewohnten Waldbewohners mit den zu kleinen Schaufeln und den netten, schwarz-weißen Zeichnungen. A wonderfully positive children's book also parents will enjoy. Eine liebevoll gemachtes Buch für den jungen Leser, der gerne glauben will, dass das Muuhs (man beachte die Anspielung auf den amerikanischen Namen) nicht nur ein normales Stofftier ist. Und wenn dieses dann an einem schönen Sommertag am Strand erwacht um seinen Freund Emilian zu retten versucht kann ja einiges passieren. Das Muuhs ist auch sehr musikalisch und singt so manches Lied. Wer sich gerne anstecken lässt findet im zweiten Teil des Buches die passenden Noten und Texte. Und unter www.muuhs.de kann man auch das eine oder andere Lied direkt anhören. Der Elch will eigentlich König des Waldes werden - wie es alle junge Elche werden wollen und sollen. Aber er weiß einfach nicht wie - alle anderen Tiere können etwas Besonderes, nur er nicht. Und sie haben immer gute Einfälle, er kann immer nur helfen indem er tut was sie sagen. Doch am Ende finden die anderen Tiere genau das klasse - er lässt sie selbst denken - ein perfekter König! Ein wunderbares Bilderbuch - direkt produziert von IKEA, daher auch ohne ISBN. How did the early moose ancestors evolve to today's modern moose? How did they get the muscular hump on their back? How did they develop such huge, palmated antlers? How did it come their muzzle got flat and droopy? Why did they look a moose look today and not like their forefathers more like modern deer? Find lots of answers and lots of fun in this book - although you shouldn't take the explanations too serious. Ein Buch für die ganz kleiner Leser, bzw. Vorgelesen-Bekommer ab 18 Monaten mit ganz dicken Seiten, wunderschönen Zeichnungen und ein bisschen Text. Was gibt es Schöneres als zu Weihnachten daraus vorzulesen un dzu sehen, wie der kleine Elch durch die verschneite Landschaft läuft um neue Freunde zu versammeln. Band 1 der Reihe "Lotta und die Schlittenhunde" hat den kleinen Elch Viktor als Hauptakteur und ist etwas für die jungen Lese-Interessierten ab 10 Jahren - eine wunderschöne Geschichte mit tollen Illustrationen. A picture book in classic style with beautiful paintings accompanied by a few lines of text. Intended for ages of 3-7, it is also a good choice for moose freaks and of course their children. "Chaos can ensure if you give a moose a muffin and start him on a cycle of urgent requests"
A picture book from the "I am Reading" series, for new readers (and moose fanatics, of course). Two stories : "Mouse's Poem" and "The Camping Trip" with charming pictures and easy, large text for the newcomers under the moose fans. The clever mouse and the well-tempered moose are quite different characters - but they seem to belong together. Another picture book for the beginners in reading. Large, nice pictures and very few, bold text. The book is based on a native American folktale and questions in the end are intended to trigger the young reader to think about the story and it's ethics. The book has just one major failing: The moose is the bad guy in this story, what a pity ! Aus der bekannten pixi-Kinder-Taschenbuch-Reihe in der Serie 117 gibt es dieses Buch - mit der Nummer 1000 eines Elches würdig. Als "die ersten Taschenbücher für jedes Kind" also der Einstieg in die Welt der großen Elche für die ganz Kleinen. Nettes Bilderbuch mit kurzen Texten und natürlich einem "Happy End" des von Jagd geprägten Büchleins. Ruben mag Elche. Einige Holzelche besitzt er schon, die seine Eltern, die Holzschnitzer sind, ihm gemacht haben. In der Adventszeit kommt dann ein ebenso echter wie hungriger Elch dazu, der erst für Überraschung und dann zu unerwarteter Hilfe führt. Ein sehr nett illustriertes Mini-Buch zur Adventszeit. An Alaskan Tale illustrated by Jeremiah Trammell and written by the kindergarten teacher Chérie B. Stihler, who is author of more than this charming children's book. Erik ist einfach zu groß - er passt nicht in das Buch, was ihn sehr ärgert. Ebenso wie mich, den Erik passt auch nicht in meinen Scanner :-) Der im englischen Original "Ernest" genannte, sympathische Geweihträger mit dem Größenproblem hat zum Glück einen guten Freund - einem Chipmunk, der zusammen mit Erik an einer Lösung bastelt, das große Problem des großen Elchs zu lösen. Bezaubernde wie auch grobe Zeichnungen und eine nette Idee - nicht nur für den ganz jungen Leser. Retter der Schmusetiere - ein passender Untertitel des Buches, das für die frühen Elchfreunde gemacht ist. Ein großes Buch, bei dem der Elch Super-Edgar in bester Superman-Manier hinter den fiesen Schmusetier-Dieben, den Grumps, herhetzt um gemeinsam mit dem Leser Schnuffeltücher und Kuscheltiere zurückzuholen. Der mehr oder weniger junge Leser lernt dabei die Fährte mit den Fingern im Buch nachzufahren und die Verfolgung gemeinsam mit Super-Edgar aufzunehmen. Mit seinen Verwandel-Schiebe-Bildern und sehr kurzen Texten eher für die kleineren Leser gedacht, erfreut es mit seinen äußerst netten Zeichnungen doch auch die Alt-Elchisten. 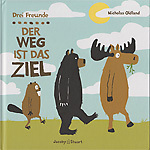 Original aus dem Kanadischen stammend ("Making the Moose out of Life") dürfte auch diese deutsche Version viele junge Leser begeistern. Mit einfachen und kantigen Zeichnungen bestückt, erzählen die kurzen Texte, die auch den jungen Leser nicht überfordern (also auch mich :-) die Geschichte eines gar nicht wilden Elches, der es durch Zufall schafft, seine Ängste zu überwinden. Ein Buch auch für Elche und Menschen, denen kein Mut gemacht werden muss. A book for beginners in reading with very easy, large text and simple drawings. Moose meets cow, deer, horse and gets confused about the differences between the animals - is everyone a moose? Again a book for the starters in reading. Pleasing rhymes and peppy drawings lead through the story of a young moose - from desperation after getting over an eventful time in the city with lots of adventures to his way back in a to his home in the woods. A reunion with his new friends in the city is sure! Ist dieses Tier nützlich hier? Ein wunderbares Bilderbuch mit netten Zeichnungen und großen (sowie kurzen) Texten für den jungen Leser (und wie fast immer auch den nicht mehr so jungen Elchfreund). Another book for beginners in reading from the "I can read" series comprising of very easy, large texts and simple drawings. All Morris wanted was candy. But he couldn't read or count so he had trouble finding the right shop and to order the right amount of gumdrops for the money he had. He went to school - and learned a lot! Ein Buch nicht nur mit Elch - drei Freunde sind es, die Abenteuer zusammen erleben wollen. Das im kanadischen Original "Walk On The Wild Side" betitelte Buch erzählt die Geschichte eines Wettrennens der drei, als sie einen Berggipfel besteigen wollen. Alle drei legen sich mächtig ins Zeug, Als aber Elch dann in Schwierigkeiten gerät, ist der Sieg nicht mehr das Wichtigste. Ein wunderschönes Bilderbuch (wie auch das weiter oben vorgestellete Buch "Trau dich, du Elch!" des gleichen Autoren) mit einfachen Zeichnungen und großgedruckten, kurzen Texten, das dem (jungen oder älteren) Leser auch moraliasch etwas zeigen will. Elliot Moose and his friends were excited - they were preparing a big show this night and just finalized the stage. But a big mistake drowned Elliot and his friend Socks in paint. When getting cleaned they experienced the very realistic effect, that cuddly toys can get pretty saturated with water. All the help of their friends is needed now to get dry again before the big dance show starts. 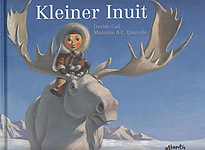 A book wonderfully illustrated in pencil crayon for the very young readers or those, who still someone to read out.